Most people love to shop. I love to shop. I love to shop for anything vintage, shabby, chippy or retro. I can justify buying vintage items because I turn around and sell them in my shop or on Etsy. That is my real job. I also LOVE to shop for craft supplies. I have a little harder time justifying money spent on craft supplies because that is more of a money-making hobby than a job. I can only sell a few crafts in my shop due to merchandise rules. I try to sell crafts on Etsy but the competition is fierce! 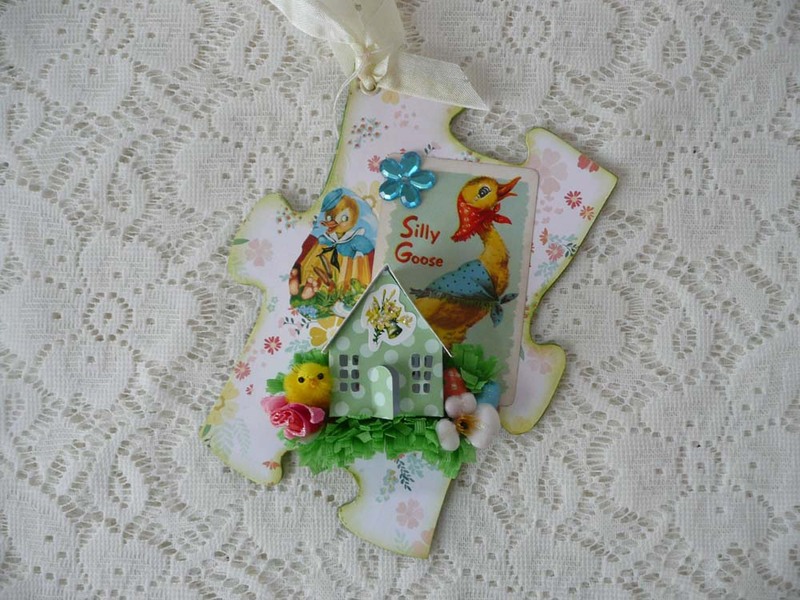 I do sell crafts at the Vintage Home Market Shows and the Christmas Show and the Fredericksburg Expo Center. But all in all crafting is not how I make a living. So, that being said, I have decided to cut way back on my craft supply spending and “scrap my stash” instead. I am going to use up as many of the supplies I have on hand as I can. After all, I bought those things because I liked them and intended to make something with them, right? 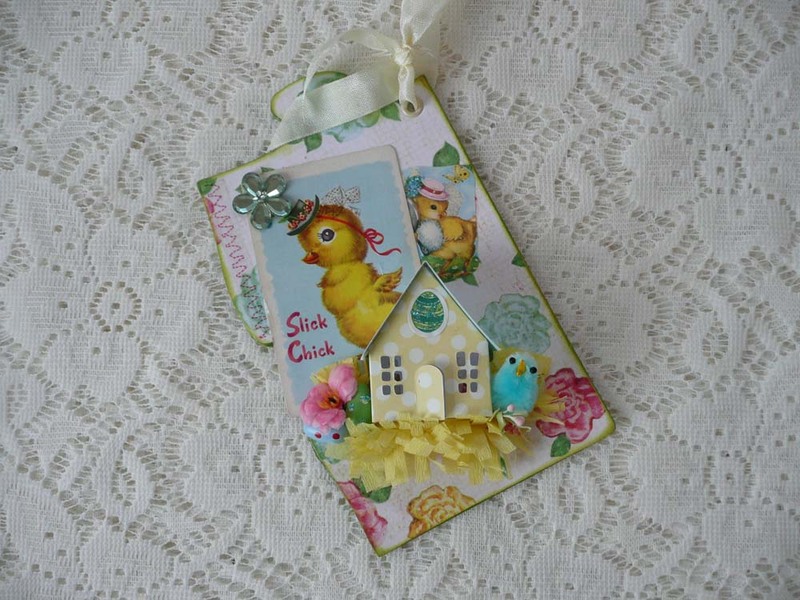 My second* project I made while “scrapping my stash” is these cute Easter decorations. They will be going to the antique mall. 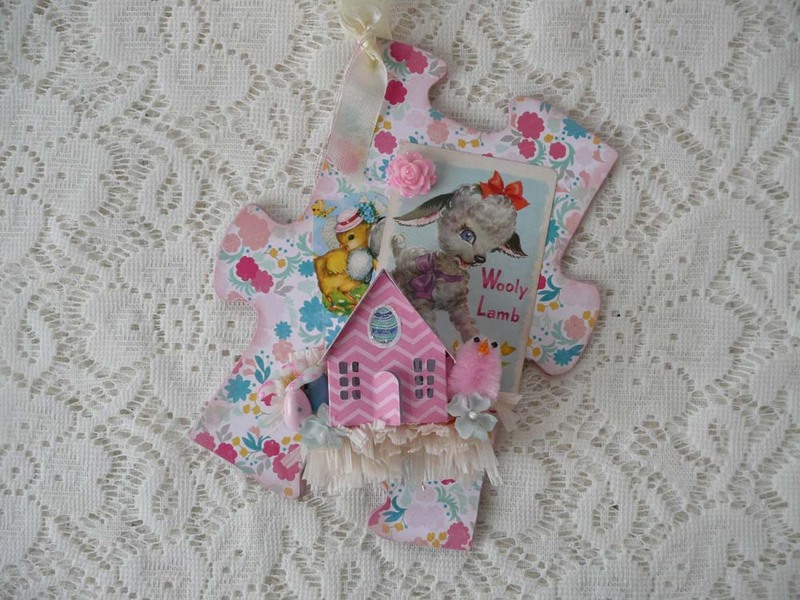 I used up lots of bits and pieces I had on hand including the large puzzle pieces. Sadly they hardly made a dent in my stash! Here are some close-ups of each piece. 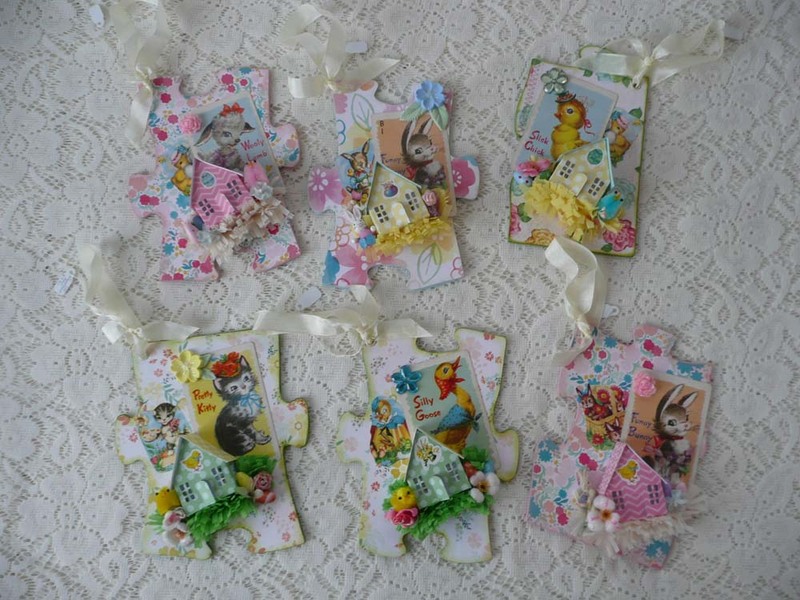 I hope you like these Easter pretties. 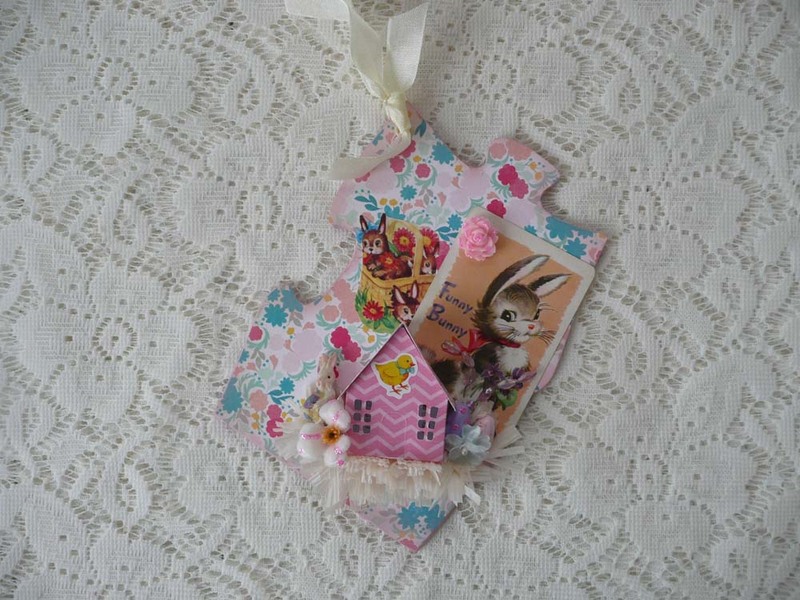 Look forward to more posts on “scrapping my stash” which I will be writing. In the mean time, take a look around you and see all the wonderful stuff you bought to craft with and get making! 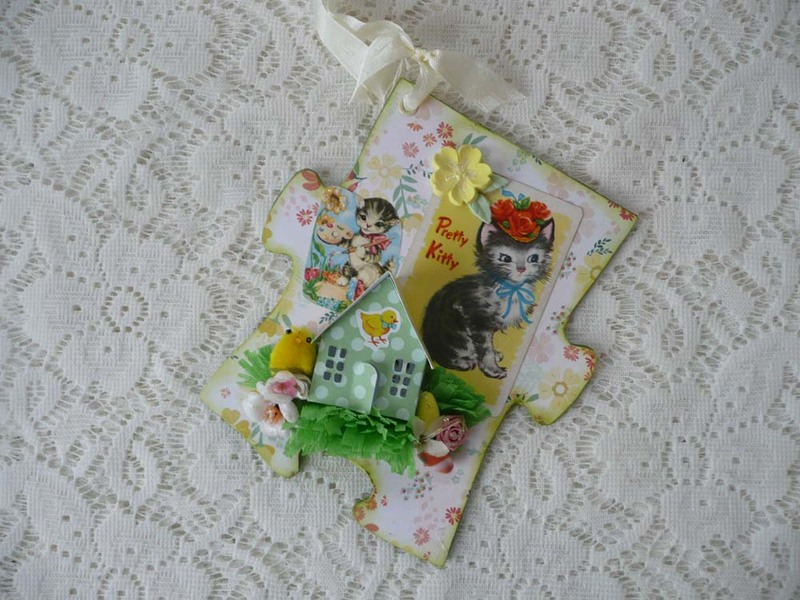 *To see my first “scrapping my stash” project, please see my last blog post titled, “Goodbye Old Friend”. What an inspiring theme. 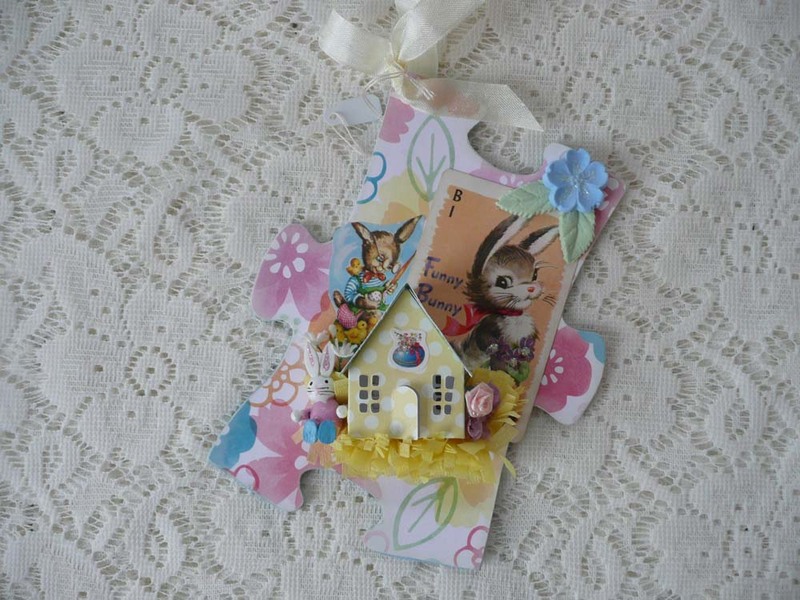 Your houses are adorable. Are these real puzzle pieces? If they are, you did quite a lot of work doing miniatures. If these are tags sizes, they are still a great idea!! !